In 1974 Hawking drew on quantum theory to declare that black holes should emit heat and eventually pop out of existence. For normal black holes, the process is not a fast one, it taking longer than the age of the universe for a black hole the mass of the sun to evaporate. But near the ends of their lives, mini-black holes release heat at a spectacular rate, eventually exploding with the energy of a million one-megaton hydrogen bombs. Miniature black holes dot the universe, Hawking said, each as heavy as a billion tonnes, but no larger than a proton. Hawking’s run of radical discoveries led to his election in 1974 to the Royal Society at the exceptionally young age of 32. Five years later, he became the Lucasian professor of mathematics at Cambridge, arguably Britain’s most distinguished chair, and one formerly held by Isaac Newton, Charles Babbage and Paul Dirac, the latter one of the founding fathers of quantum mechanics. 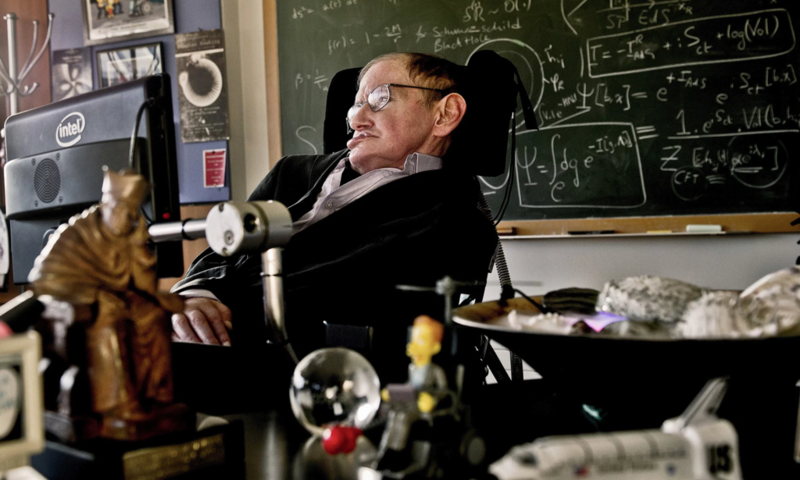 In 1985, during a trip to Cern, Hawking was taken to hospital with an infection. He was so ill that doctors asked Jane if they should withdraw life support. She refused, and Hawking was flown back to Addenbrooke’s Hospital in Cambridge for a lifesaving tracheotomy. The operation saved his life but destroyed his voice. The couple had three children, but the marriage broke down in 1991. Hawking’s worsening disability, his demands on Jane, and his refusal to discuss his illness, were destructive forces the relationship could not endure, she said. Jane wrote of him being “a child possessed of a massive and fractious ego,” and how husband and wife became “master” and “slave”.